The Bishop Mirror is a handsome piece. It features an Art Deco styled rectangular wood frame. The frame is finished in a smooth matte black. What makes this piece truly stand out is the V shaped groove etched into the glass of the mirror accented by antique gold rivets. 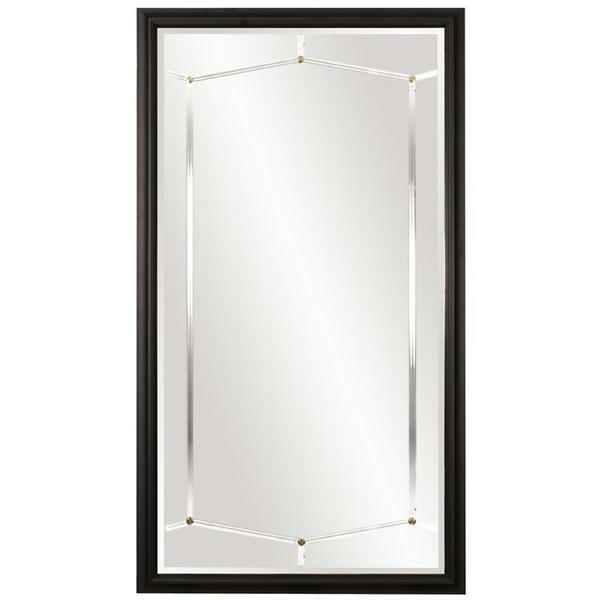 Make any room instantly larger by adding the Bishop Mirror. Its grandiose size makes it the perfect focal point for any design. Hang either a horizontal or vertical fashion. Customizable for larger orders.